An essential part of Bristol’s Christmas for generations, Handel’s masterpiece sung by Bristol Choral Society (from memory) with the stylish period instruments of Music for Awhile. 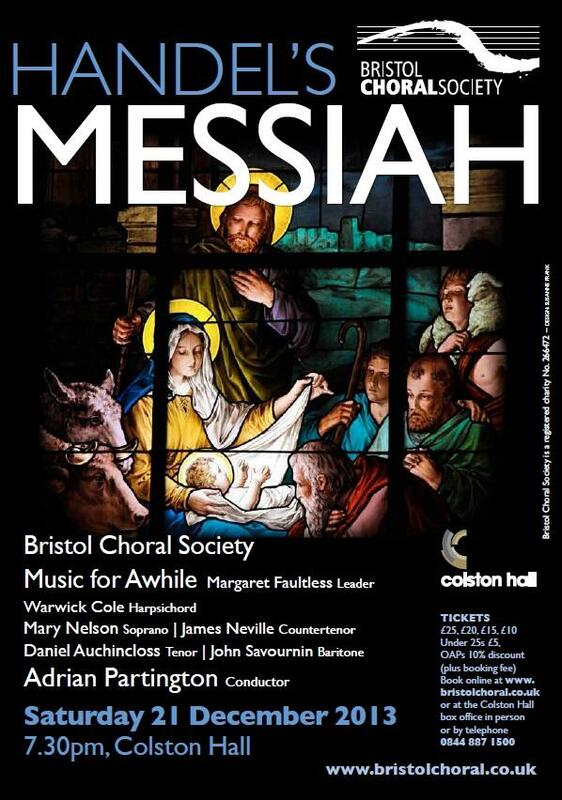 “An absorbing and thoroughly entertaining evening…” wrote Alexandra Hamilton-Ayres in her bachtrack.com review of the 2012 Messiah performance “…it was as though Colston Hall had been wrapped in a giant ribbon for what can only be described as a Christmas present come early”. #colstonhall #show25696 Absolutely loved the Messiah at the Colston Hall and Adrian Partington's fantastic conducting ... so many feels!